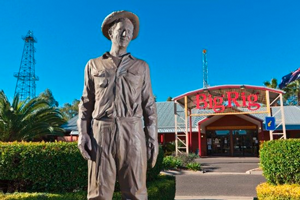 The Big Rig Interpretative Centre & Night Show is comprised of the Oil Patch interactive interpretative display of Australia’s oil and gas industry, and The Night Show – an entertaining outdoor light and sound presentation of local early 20th Century oil and gas exploration. The Big Rig’s spectacular night show is a must see for all visitors to Roma. The parklands surrounding the Big Rig Centre also incorporates the Lenroy Slab Hut which was built by hand in 1893 from local timbers to house a family of 11. This area is also the start of the Adungadoo Pathway which winds for 2km alongside Bungil Creek & finishing at Apex Park 2min from Motel Carnarvon. Agriculture features prominently in the Maranoa region with an estimated 1-2 million head of cattle, representing approximately 13% of the state’s beef cattle herd. 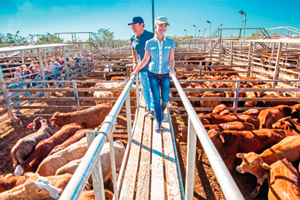 Roma Saleyards is where visitors can experience the excitement and sounds of a cattle sale and meet some of the local graziers and stock agents. This facility is the largest in the southern hemisphere selling over 400,000 head a year. Free Tours are available on Tuesdays and Thursdays April – October (inclusive) and Tuesdays only during the summer (November – March inclusive) just meet at the Bull Ring at 9.00am. 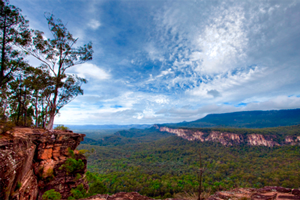 Carnarvon Gorge is well worth the trip; allow 3hrs into the Gorge heading north from Motel Carnarvon. See the brilliant colours of the high sandstone cliffs. 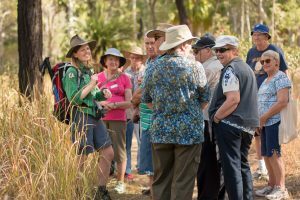 Take in the sights of the Moss Garden, Amphitheatre, Bulimba Bluff, Wards Canyon, Aboriginal Art & so much more. 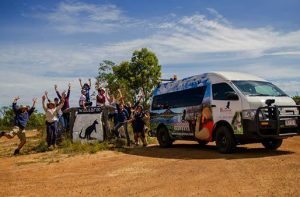 Join Simon and Michelle at Australian Nature Guides which is Carnarvon Gorge’s only locally owned Guided Tour business. Both Simon and Michelle are qualified Savannah Guides; a mark of excellence and professionalism. For the past 20 years Simon has been presenting and researching the Gorge. 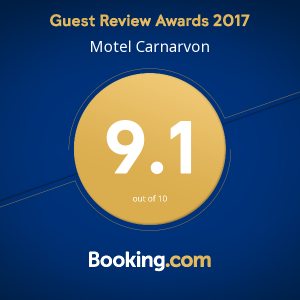 The knowledge that he accumulated at Carnarvon Gorge is extensive and thorough. Michelle has guided in a diverse range of locations, including Kakadu, Kangaroo Island nad Uluru/Kata Tjuta before settling at ‘The Gorge’. 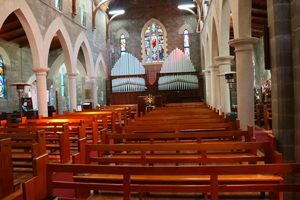 Historical Roma features many old buildings such as the Windows of St Paul’s Anglican Church houses over fifty stunning leadlight and stained glass windows dating from 1876. Tours are available on Tuesdays & Thursdays from 9.00am until 10.30am (April-October inclusive). 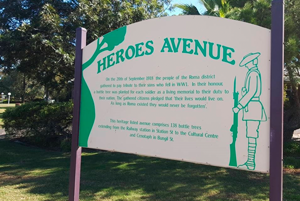 You may like to wander the streets of Roma and take in the heritage-listed Heroes Avenue features more than 100 bottle trees. Each tree is dedicated to a local soldier who lost their lives in World War I. Wander back in time along Roma’s Historical Walk to the beginnings of this important Western Downs town in the 1860s taking in significant landmarks and learning aboutRoma’s colourful history. 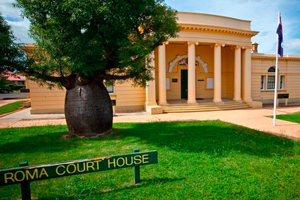 Speaking of Colourful History, you may want to visit the Roma Court House – Opened in 1901 – venue of the trial of the infamous cattle duffer Harry Redford, alias Captain Starlight. Have a stroll through Roma’s historical town centre and finish with a photo shoot at Roma’s Biggest Bottle Tree. 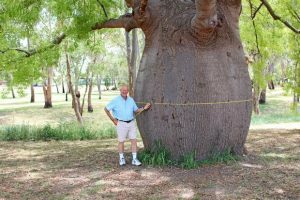 It stands at the end of Edwardes St near Bungil Creek and has an incredible girth of 8.9 meters. Events & Festivals held each year in Roma are the Picnic Races (March), Roma Cup (November) & Easter in the Country (March/April). 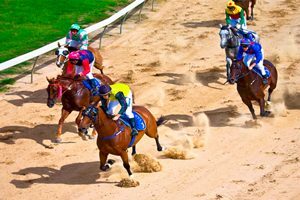 The Roma Cup is one of Western Queensland’s biggest race meets and brings in huge numbers of spectators. Be sure to book early to secure your accommodation to these incredible local events!